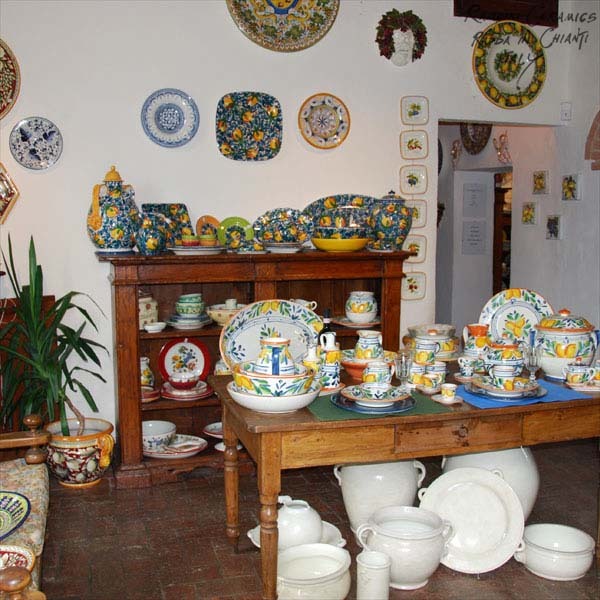 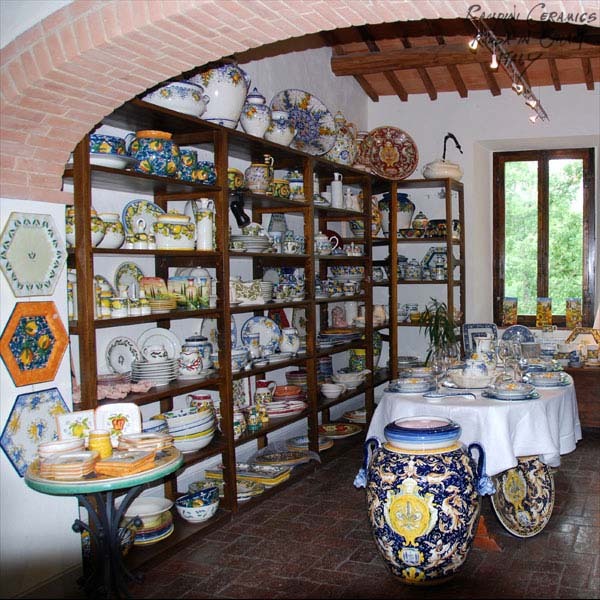 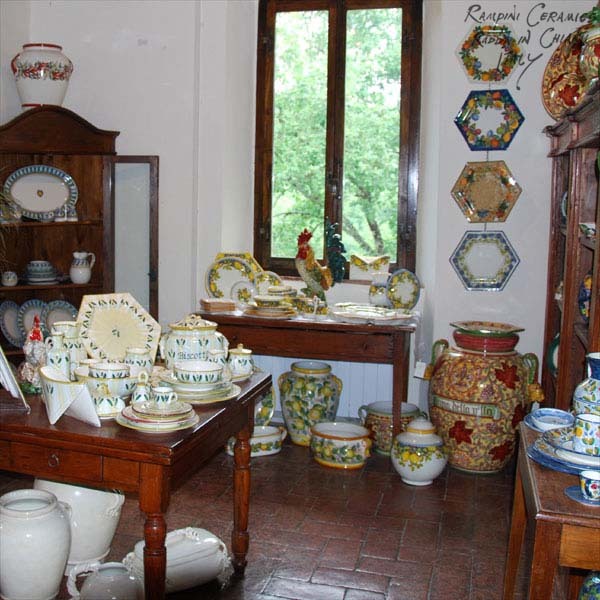 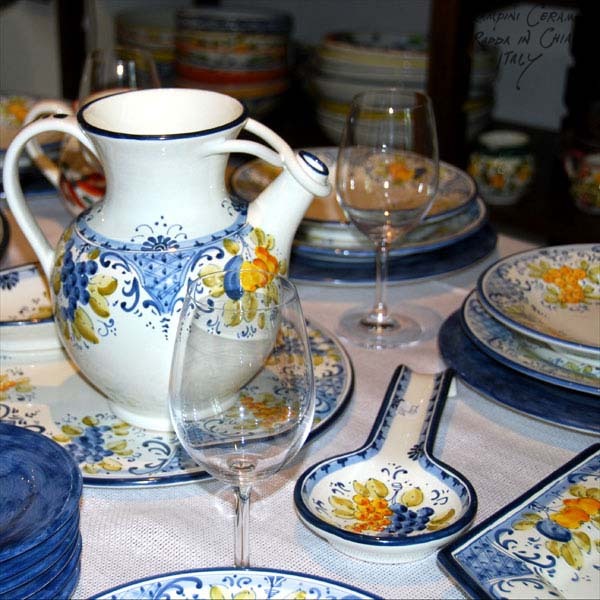 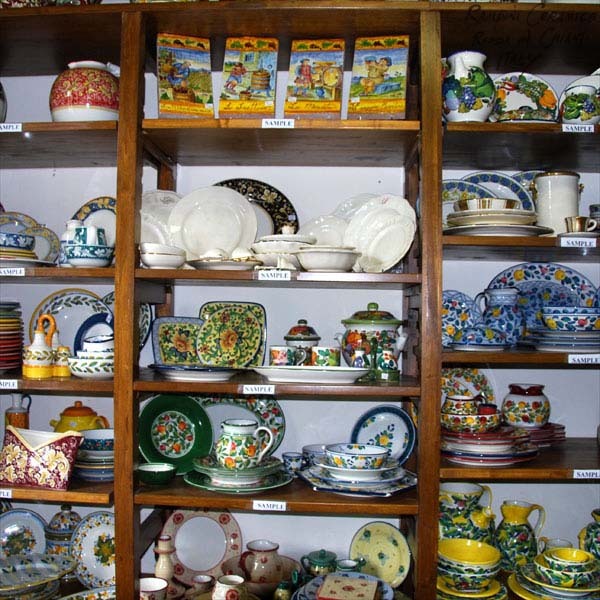 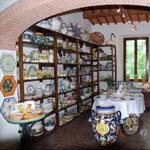 Our ceramics, from the initial to the final phase, are entirely produced in Tuscany. 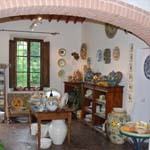 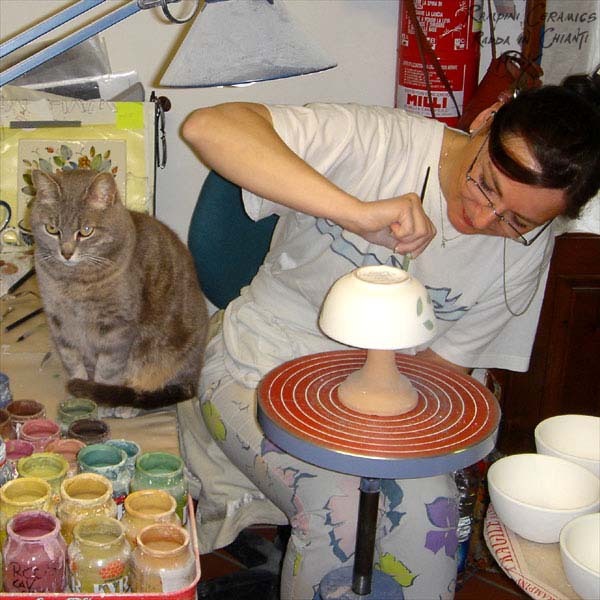 Our workshop, where the ceramics are designed, glazed, painted, and fired, is located in the heart of Chianti, surrounded by the ancient cypress trees, well tended vineyards and olive groves for which this region is so well known. 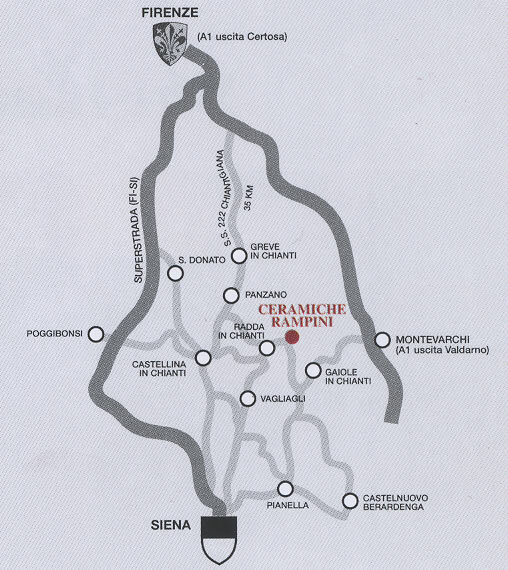 +43� 28' 41.80", +11� 23' 43.72"
9 am to 7 pm from Monday to Sunday (in high season - April to October). 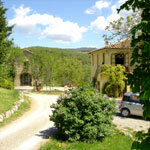 This is a scenic one hour drive from Florence and a leisurely thirty minutes drive from Siena. 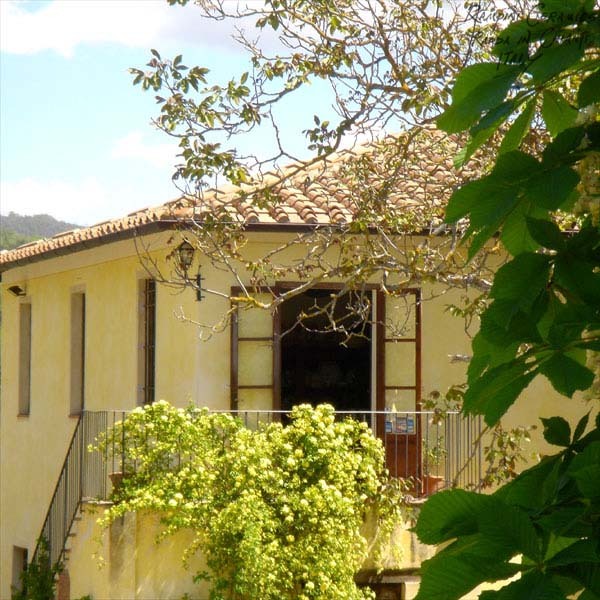 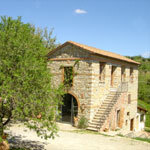 The factory is located in an old Tuscan farm house amongst the vineyards, olive groves and forests of Villa Vistarenni. 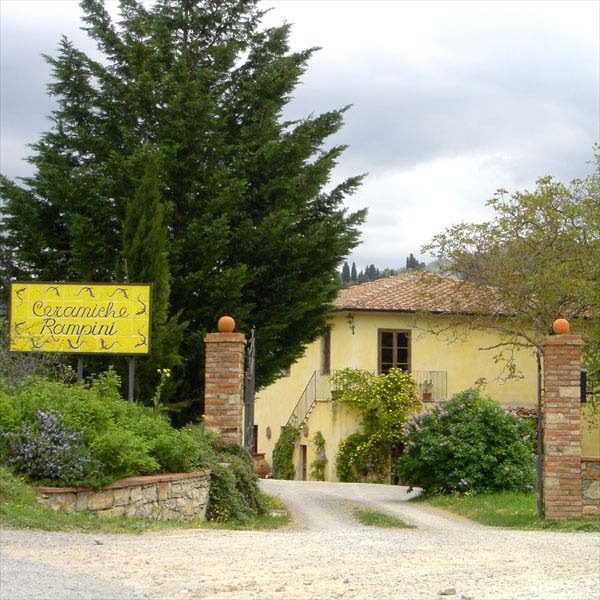 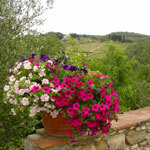 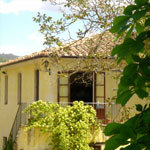 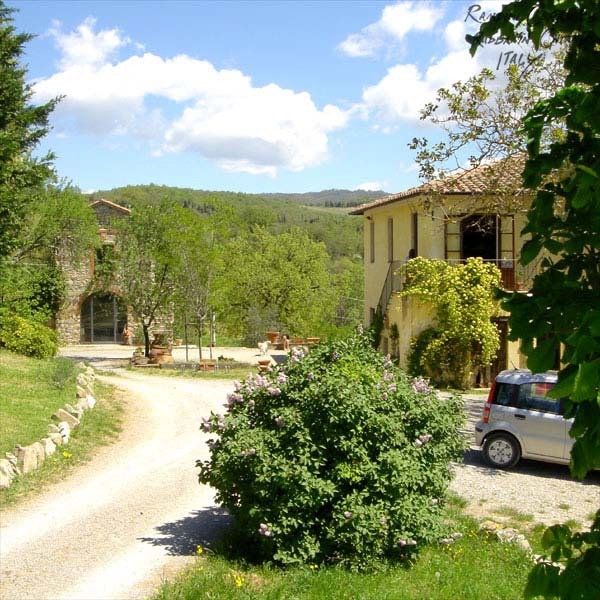 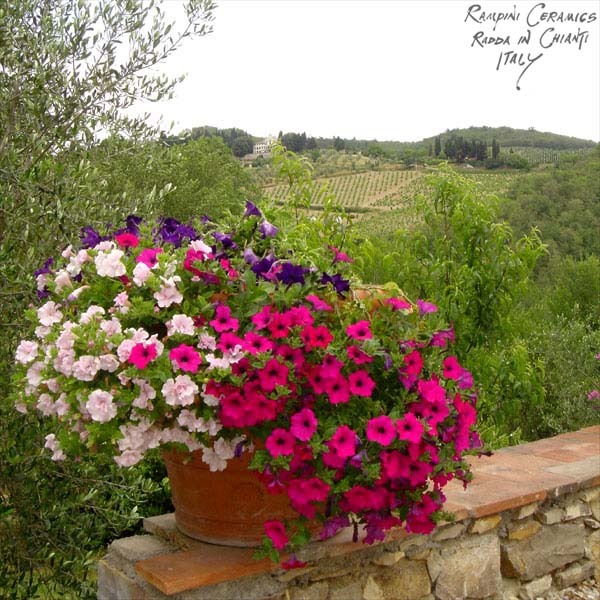 We are located about three kilometers south of Radda in Chianti on the road to Gaiole in Chianti. Please call from within Italy on the above telephone number to get detailed directions from our English speaking staff. 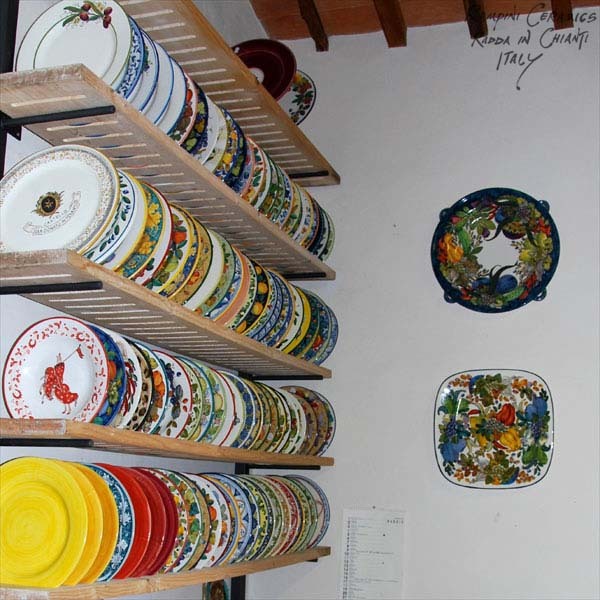 Here next to the studio and workshop, we have a large display of patterns and designs from which you can choose to custom order or purchase something to carry home with you. 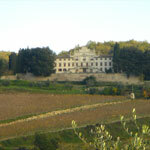 Our beautiful area with its wine and olive growing culture going back to Etruscan times is home to some world renowned wine producers, while some of the historical castles and fortified hamlets once defending the Chianti during the wars between Siena and Florence now have become very special, elegant and atmospheric hotels and agritourisms. We would like to mention specially Barone Ricasoli at Brolio, Castello di Spaltenna, Castello di Tornano, Borgo Casa al Vento and Livernano, all in our immediate area, and Santa Margherita, producing the wine from the Vistarenni vineyards surrounding our workshop. For further information and to order contact@rampiniceramics.com. Due to the characteristics of monitors the colours in images may vary from the original ceramics pieces. 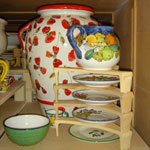 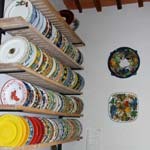 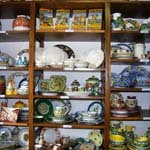 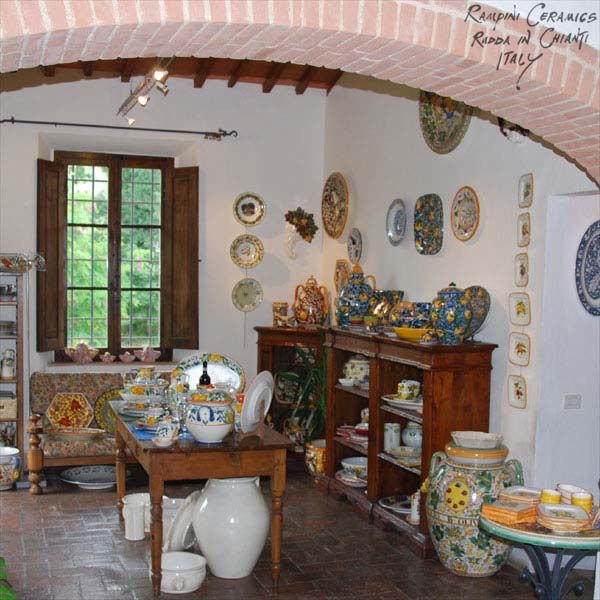 Copyright © 2009 Rampini Ceramics (all text and images).